May 20, 2009, "To Alaska and Back in 3 Months"
December 15, 2010, "Potpourri Dinner and Meeting"
Momo Vuyisich grew up in Yugoslavia where he started hiking and backpacking, and has lived in the Southwest since 1993 where he has traveled extensively and started photographing it about 10 years ago. 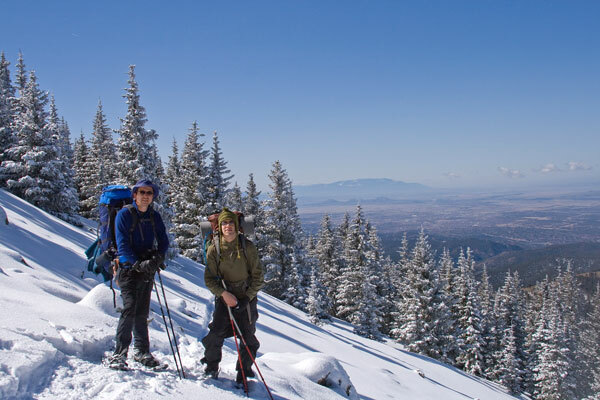 Winter backpacking trip on snowshoes into the Sangre de Cristo mountains. Momo is in the blue shirt on the Left. 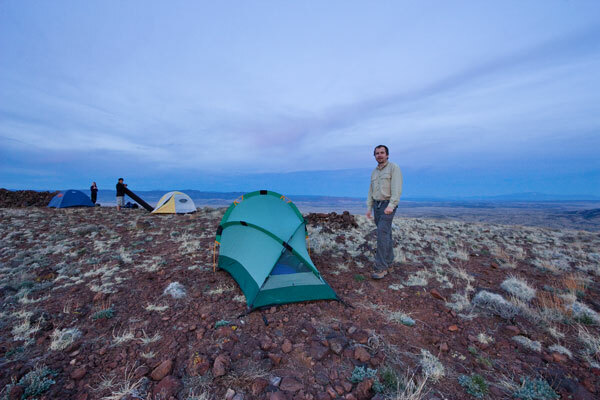 Momo enjoys the outdoors all year by hiking, backpacking, and snowshoeing. He has been a member of the Mountaineers for two years, has participated in several LAM activities, and has now led several trips for us as well. Momo works at LANL as a Biochemist.